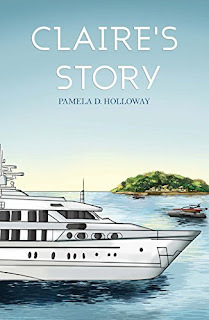 Today I am lucky enough to be joined on the blog by Pamela D Holloway. Pamela currently has 2 books out and so I'll give you some information about those first and you can scroll down to read my interview with her. A young woman stands in the snow, holding a small child in her arms. She implores the passing lorries to take the child. A shot rings out; the woman's final thought is that her little girl is safe. Yana grows up in a happy household in England but, in her teens, determines to go back to Serbia to find her roots. The family reluctantly support her wishes. Michael; his wife, Sue; and their three children play an integral part in the story and help her come to terms with her background, which ultimately touches all their lives. After an unusual upbringing, Claire decides to leave her Edinburgh home and travel to visit her old school friend who lives on Vancouver Island. Once there, she palms off her son, having persuaded him to pretend his father is dead. She sets out to find a job and a wealthy husband, and eventually finds both. She also finds herself in a very dangerous situation: her life is threatened. A prison sentence is likely. Can she find someone to believe her? 1 How did you get into writing? I have enjoyed writing stories and poetry ever since I can remember. 2 Do you write full time & if so have you always done this? I write most afternoons from 2 -5 pm. I have never written full time. 3 Do you have a particular writing style or genre that you prefer? 4 How do you develop your characters as you write, are any of them based on real people? 5 What was the inspiration behind your novel(s)? Book 1. a young woman on a flight confided that she had had a wretched childhood. Book 2. Claire's Story. Main character unusual young woman sister of Fiona in book one. 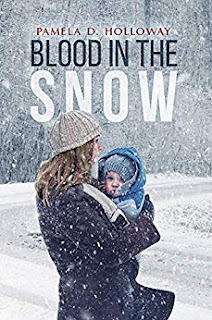 Book 3 Blood in the Snow. Read about families torn apart in what had been Yugoslavia and the idea of how surviving children coped motivated me. 6 What is your writing process - do you map it out first? Write a bit at a time? An idea 'takes hold' it fills my head day and night I can't wait to find pad and paper. Yes, I write longhand - it flows that way and later put in on the computer. I suppose there must be a reflection of me in that life experiences influence who we are/become. 8 What kind of research did you do before writing? 9 How much attention do you pay to the reviews you get? Reviews matter and some are fascinating - but no reviews are the worst! 10 Are family and friends supportive of your writing? Family yes, others up to a point. 11 How do you feel leading up to publication day? Confidence suddenly at a lower ebb is it ok? - but tinged with excitement. 12 Which authors inspire you, or are there any you particularly enjoy reading? The late Penny Vincenzi and Helen Dunmore. Enjoy Jodi Picoult, John Grisham, Barbara Taylor Bradford and Maeve Binchy. etc. Pamela was born in Warwickshire the youngest of five children. She married her childhood sweetheart and they have three grown up children. Pamela feels very fortunate to have lived in several different countries, her favorite being Austria where she studied at University in Vienna. Writing short stories, poetry and latterly novels has been a compulsion throughout her life. She has enjoyed writing 'stories' ever since she can remember has had two books and numerous short stories and poetry published to date. Blood in the Snow, her third novel draws on her experiences of living all over the world. Now settled in Sussex she devotes her afternoons to writing unless gardening in her beautiful cottage style garden or socialising with family and friends! Pamela also enjoys entertainment style cooking and loves having friends for dinner. Thank you so much for Pamela for stopping by today, I hope your enjoyed the interview it was a pleasure having you!